Foreign Domestic Workers (FDW) plays a pivotal role in their employer’s lives by assisting them in their day-to-day tasks. Maintaining the workers’ well-being should be the priority for the employers as it can directly impact the quality of their work. The interests of the Foreign Domestic Workers (maids, caretakers, helpers) in Singapore are guarded by the Ministry of Manpower (MOM). There are several rules and regulations governing the rest day/public holiday policy for foreign workers in Singapore. In this article, we are going to discuss everything you need to know about the rest day policy for the foreign workers working in Singapore. The concept of rest day was introduced to ensure that the well-being of workers remains intact and they get enough physical and mental breaks from work at regular intervals. It is believed that the healthy break from the work once in a week in the form of rest days and other public holidays helps to improve their work efficiency and productivity. What is defined as the rest day? 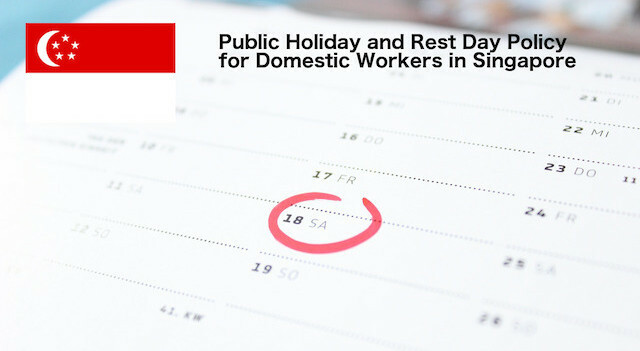 A weekly rest day is considered as a basic labor right of the domestic workers in Singapore. Most of the local workers and non-domestic foreign workers already enjoy this right under the Employment Act of Singapore. Rest day is essentially the off time that the foreign domestic worker is entitled to from the day-to-day domestic services to rejuvenate and have some personal free time. The objective of the rest day is to make sure that the foreign domestic worker gets enough time for both physical and mental rest to be able to perform her duties with renewed energy. The foreign domestic workers are not covered by the Employment Act, your terms and conditions of employment will be according to your employment contract. Foreign domestic helpers are not entitled to Public Holidays. 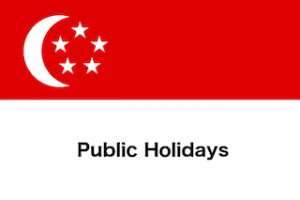 Nevertheless, employers can make the choice to offer public holidays following the Employment Act of Singapore. In this case, the employment contract must clearly mention that your helper is entitled to a cumulative of 11 paid public holidays a year. Based on this agreement, if the employer requires the services of the worker on the public holidays with their due consent, they are supposed to pay an extra day’s salary to the worker as compensation or grant a day off within the same month. Which are the holidays covered under Public Holidays off? What happens if the Public holiday falls on a rest day or a non-working day? In case the public holiday (the 11 holidays mentioned above) falls on a rest day of the worker, they are entitled to get a paid holiday the next day or one extra day’s salary in lieu of the public holiday. For e.g. : If the maid or caretaker works 6-day a week as per the employment contract, Sunday is generally considered as the non-working day. In case the public holiday that falls on the non-working day that is Sunday, they should either get a day off or a day’s salary as compensation. What happens in case the FDW works on a public holiday? The weekly rest day requirement applies to all the FDWs whose work permits are issued or renewed on or after 1 January 2013.
Who is entitled to the rest day? 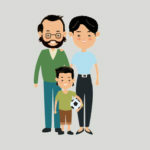 Any foreign domestic worker (FDW) serving in Singapore is entitled to a weekly rest day in case her Work Permit was issued or renewed after 1 January 2013. How is the Rest day decided? The decision of allotting the rest day for the week to the foreign domestic worker/maid should ideally be decided mutually by the employer and the domestic helper. Is a written agreement essential for the rest day/public holiday policy? Although the employer can choose to verbally communicate to the maid about the rest day/public holiday policy, it is always advisable to go under a written agreement mentioning all the conditions. The primary reason for the same is to avoid any kind of future conflicts as only having a verbal agreement runs the risk of disputes and misunderstanding in future. Additionally, having a clear written agreement between the employer and FDW brings greater clarity and safeguard the interests of both the parties. What happens if the employer needs urgent help on FDW’s rest day? Is the FDW allowed to work for someone else on her rest day? The answer is NO. A maid in Singapore is only allowed to perform domestic chores/ assigned task for her legal employer at the residential address mentioned in her work permit. It is a legal offense (termed as illegal employment) on the part of the FDW if she chooses to work for someone else even on her rest days or public holidays. 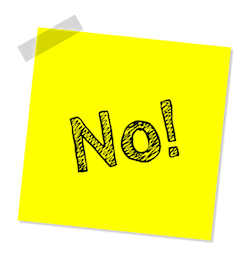 It is the duty of the employer to mention and remind the FDW about the fact that they are not allowed to work for anyone else on their rest days. Under the Foreign Manpower Act (EFMA), no foreign domestic employee is allowed to work for an employer without a valid work pass. In case the FDWs are found to work for employers other than their official employers as mentioned in their work permit, they face either a fine not exceeding $20,000, or jail not exceeding 24 months, or both. Furthermore, such workers will be barred from any future employment opportunities in Singapore. Are there any guidelines on how FDW should spend their rest days? The domestic helpers are free to spend their rest days/public holidays as they wish. b) Is there is any provision for accumulating the FDW’s rest days in the form of a block leave? c) Can the employer pay FDW compensation as a bonus at the end of employment for all rest days? We have defined all the rules about rest day and public holiday. Don’t forget that all these rules are not a constraint, they have been created in order to offer free time for each worker. 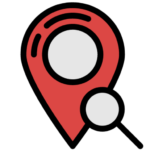 Feel free to visit HelperPlace to get more information about hiring process, rules or to find the right domestic helper for your family.